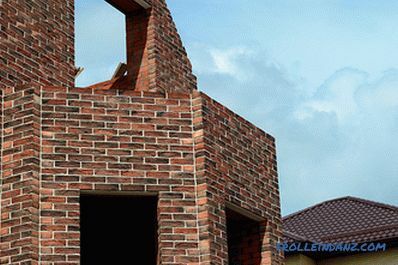 Clinker brick, what it is, what its main characteristics and purpose are - the topic of this article. Separate elements of buildings experience high static loads and are built from materials with appropriate characteristics. In the construction of such structures is widely used clinker brick, which has unique physical and chemical properties. The production of such bricks was first established in the 19th century in Holland, which was experiencing a shortage of natural stone. In accordance with GOST 530-2012, the product is described as durable and with exceptionally low moisture absorption, what provides it excellent operational and decorative properties. 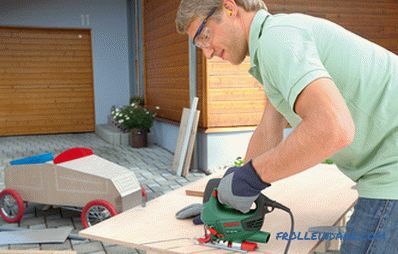 The material can be used in a hostile environment and for carrying out finishing work and cladding of buildings. The product has the shape of a regular parallelepiped with the dimensions specified by the current standard. The outer surface of the brick clinker has a slightly rough texture, the color of which ranges from light yellow to dark brown. In total, there are about a hundred shades, the formation of which is achieved by the introduction of special additives into the composition of the raw material. The main raw material for it is a special type of clay, which is called lean, and mineral additives of igneous rocks are used as a charge. This composition provides in the firing process at a temperature of 1300 ° C the formation of a significant amount of glass phase. 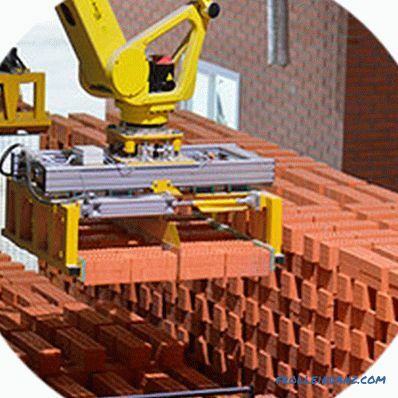 For comparison, a conventional brick is formed at 800 - 1000 ° C.
According to this indicator, clinker products occupy a leading position among ceramic blocks and tiles. The material has excellent resistance to abrasion, in this parameter it is many times higher than the parameters of high-quality concrete. The firing mode and conditions make it possible to achieve extremely low hygroscopicity; for comparison, a brick placed in water can absorb from 15 to 25% clinker, and more than 6-8%. Products with glazed surfaces do not absorb moisture at all, which, in addition, has a positive effect on its frost resistance. During masonry of clinker brick, masons use modified cement-sand mixtures. Such solutions have a minimum setting time, which reduces the time standards in the process of building construction. For decorative purposes, the seams between the blocks are sewn and rubbed with cement formulations with the addition of coloring pigment. This increases the complexity of the process, but also significantly improves the appearance of the masonry. Ordinary or single products are used for the construction of supporting building structures experiencing high loads. These include such power elements as columns, steps of stairs, pillars, foundations and plinths. These building structures are characterized by mechanical strength, resistance to external influences and durability. 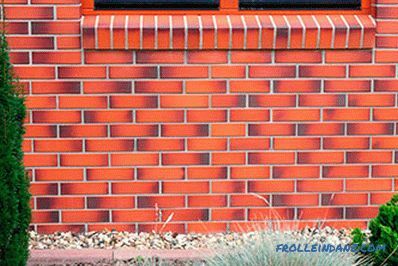 Facing or facade clinker bricks are characterized by excellent decorative properties and a rich selection of colors. The surfaces of the product are additionally glazed, which allows to achieve maximum resistance to atmospheric phenomena and sunlight. Facing materials in addition to the usual rectangular products can be shaped. 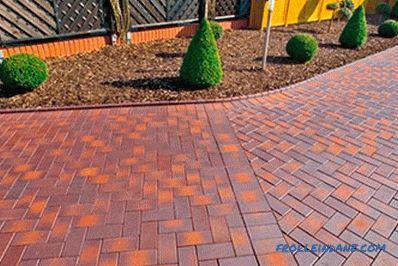 Pavement clinker bricks are used to pave pavement, pedestrian and garden paths, as well as park alleys The material has significant resistance to abrasion and mechanical shock. This makes the elements of landscape design extremely durable and able to maintain their appearance. Production of this building material is carried out in accordance with the requirements of GOST 530-2007 and 7484-78. The technical characteristics of the clinker brick are determined by its physicochemical properties and internal structure. The product has a high density and extremely low porosity, which ensures low water absorption and excellent frost resistance. High technical parameters of this building material are provided by its composition and structure. The density of the clinker brick is in the range from 1900 to 2100 kg / m 3 , and such indicators are achieved due to sintering of mineral raw materials in the firing process. This allows you to minimize the porosity of products, which, in turn, prevents the penetration of moisture inside. 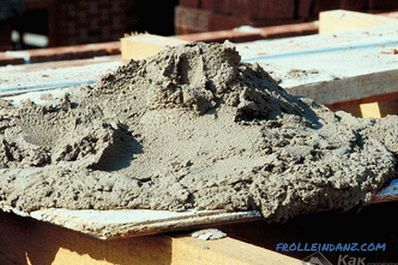 High density of clinker brick is the result of pre-compression of the raw material at the stage of its formation. In some cases, the press develops a force of up to 5,000 kg / cm2, which increases the block parameter such as resistance to compression. 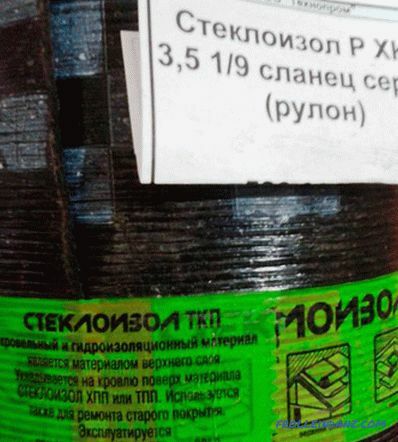 This building material, used for the construction of foundations and plinths of buildings, is experiencing great pressure of walls and other structures without destruction. In order to reduce the overall load on the foundation, unloaded building elements are maximally facilitated. Facing or facade clinker brick in most cases is hollow. In the body of the product for this purpose, through holes or notches of various shapes are made: they can be rectangular, cylindrical or conical. The voids in the clinker brick are formed at the pressing stage using special shapes. The hollowness of a product is characterized by a special parameter - a coefficient and is defined as the ratio of the total volume to the real. 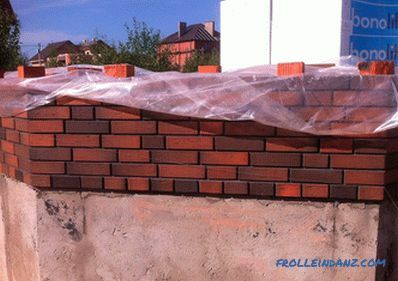 For certain types of front clinker brick, this figure can reach 35 - 40%. 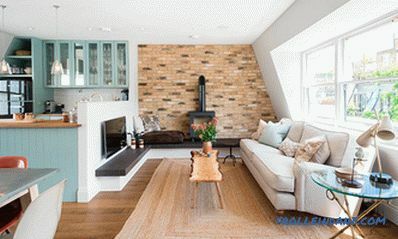 In addition to purely decorative functions, such a lining is also a good heat insulating layer, which provides for the reduction of energy losses through walls. The performance characteristics of building materials are closely interrelated. The coefficient of thermal conductivity of clinker has the highest value among analogues. This indicator is in the range from 0.8 to 1.16 W / m ° C; for comparison, a solid block is 0.5–0.7 W / m ° C, and a porous block is 0.22 W / m ° C, warm ceramics and altogether - 0.11 W / m ° C.
High thermal conductivity of clinker brick is determined primarily by its density. This value was somewhat reduced only for hollow samples used for cladding of buildings. Supporting structures: foundations and plinths built from this type of brick need additional warming. This will help to significantly reduce losses through enclosing structures. This parameter characterizes the ability of the clinker brick to absorb some water. The dense internal structure of the material complicates the processes of moisture absorption. Low porosity of the product is achieved in the process of pressing and firing at high temperature, which leads to sintering of individual particles. The result is a mass with a small number of voids. 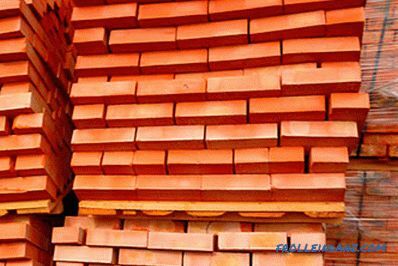 Clinker brick moisture absorption characteristics, which are low, can be used for the construction of critical structures. Including those that are used in aggressive environments with high humidity. 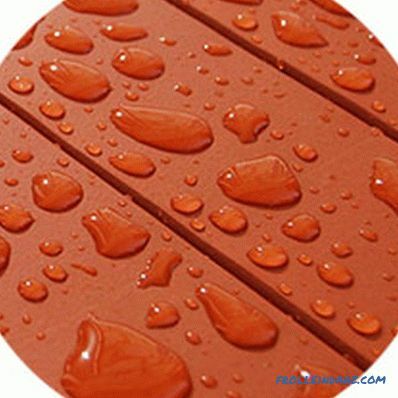 Products with glazed surfaces and do not absorb water at all, which ensures their durability. This building material is not prone to the formation of efflorescence. 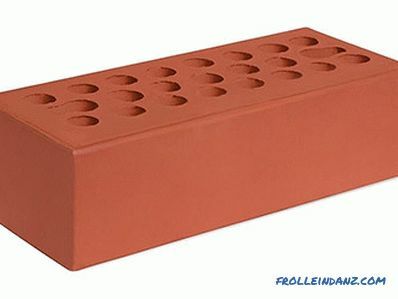 The clinker brick is able to effectively withstand fluctuations in air temperature down to extreme values. The material has excellent frost resistance, in accordance with the standard product can withstand at least 75 cycles of cooling and heating. This figure is determined by the high density and low moisture absorption. 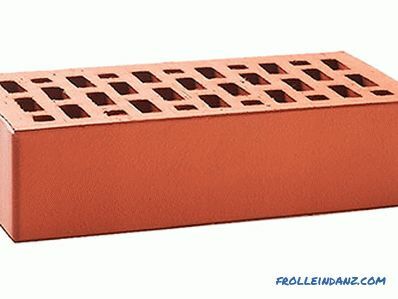 This property of clinker brick is widely used in construction, the material is used in the construction of buildings in latitudes with a cold climate. 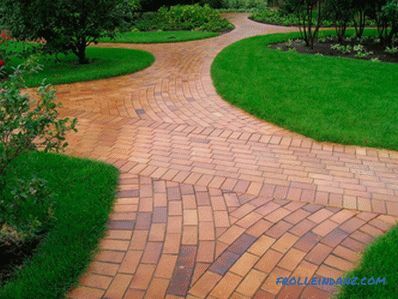 The bricks used for paving walkways and sidewalks have maximum frost resistance. The material is in constant contact with saturated soil moisture, which has a certain effect on it. However, experts note the durability of these landscape elements. The production technology of clinker brick provides for firing at high temperatures. In the structure of the material there is a significant proportion of refractory components that provide excellent fire resistance. Tests show that the product is able to withstand temperatures of at least 1,800 ° C. Structures of this material remain stable, being under the influence of fire without deformation and destruction. The high density of the clinker brick determines the low attenuation ability of acoustic oscillations in it. Accordingly, the soundproofing properties of this material are rather mediocre. Actually, the name of the product translated from German means "ringing", it is such sounds that occur when striking it. Fencing structures of this material need additional sound insulation. 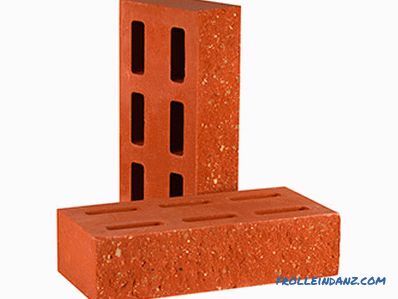 The internal structure of the clinker brick is characterized by extremely low porosity. 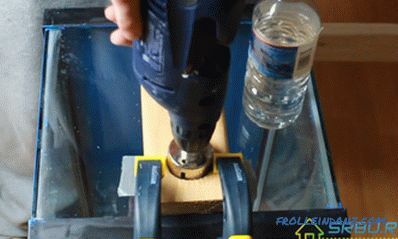 This circumstance explains the low vapor permeability of products. This indicator has a numerical expression in the form of a corresponding coefficient, which for these products ranges from 0.03 to 0.07 mg / (m • h • Pa). The low vapor permeability of the finishing from the front brick ensures the safety of the enclosing structures from moisture. In the interior of buildings of this material, an effective ventilation system is necessary. 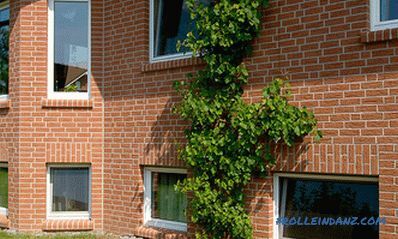 Klinker brick is made of natural minerals, and its production technology ensures the creation of a stable and dense structure. Products are distinguished by high environmental friendliness; during operation they do not emit volatile chemical compounds harmful to humans. Raw materials and finished products undergo compulsory radioactivity testing. Manufacturers strictly adhere to the requirements of the current standard. double - dimensions 250 * 120 * 140 mm designation 2.1 NF. 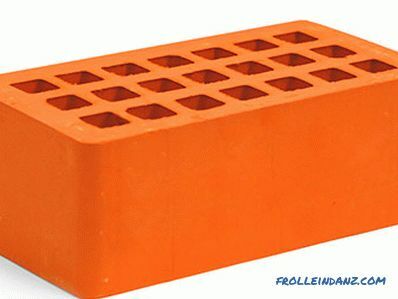 There are other types of products: clinker bricks, the dimensions of which are 250 * 85 * 65 mm are called "Euro" and are marked as 0.7 NF. In addition to the above, they also have a modular single unit with a size of 288 * 138 * 65 mm, denoted as 1.3 NF. Incomplete products are also produced, which are denominated by fractional parts: "three quarters", "half" and "quarter". The accuracy of the production of clinker bricks is strictly regulated by the requirements of the standard. Allowable deviations in length should not exceed 4 mm, in width - 3 mm, in thickness - 2 mm. Products must have the shape of a regular parallelepiped with a maximum divergence of parallel faces of not more than 3 mm in maximum size. The largest deviation from the plane on either side is 3 mm. 1. Ordinary products are used for the construction of loaded supporting structures: foundations, bases, columns, steps, plinths, and in some cases, load-bearing walls. 2. Facade or facing bricks are used to finish walls and other structures outside and inside the building. 3. Pavement is designed for paving walkways, alleys in parks and squares, observation platforms. 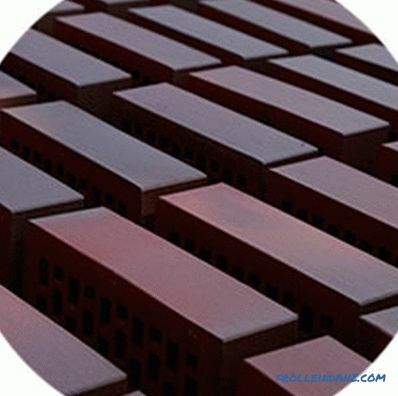 The clinker brick is highly durable and has excellent performance characteristics. These circumstances ensure the durability of buildings and structures in the construction of which such materials are used.